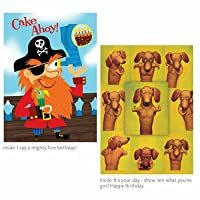 Be ready for every birthday boy with this pack of best-selling birthday cards from Peaceable Kingdom. Twelve cards for boys feature the delightful graphics that Peaceable Kingdom is known for. Complete with envelopes for mailing or giving.